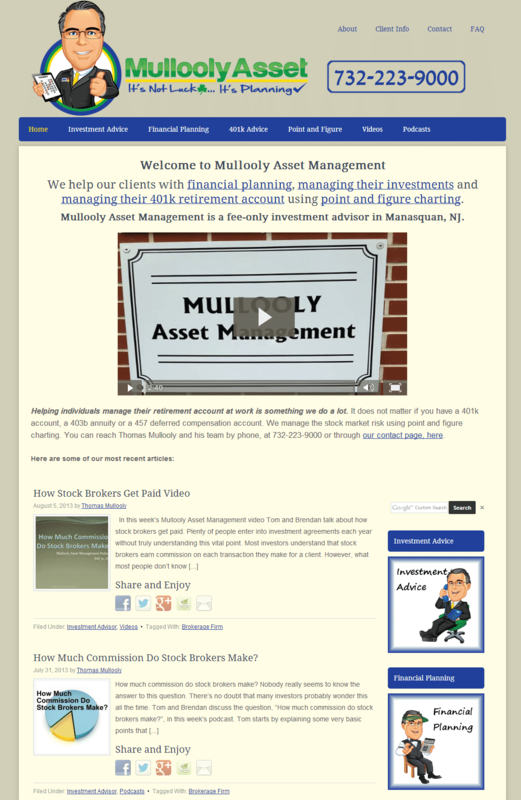 This wordpress site is one that we did for a financial advisor. He wanted a relaxed and clean looking site without too many choices on the home page. The website needed a new look and feel and we explored the new look for a while before committing to the changes. This has been a fun project. We decided on a wordpress site because he already was familiar with the platform and loved his existing wordpress site. He had a lot of content and only wanted to change the design. We customized the new template on a test server and then transferred it to his server when the changes were approved.